I see monogram is coming back again. 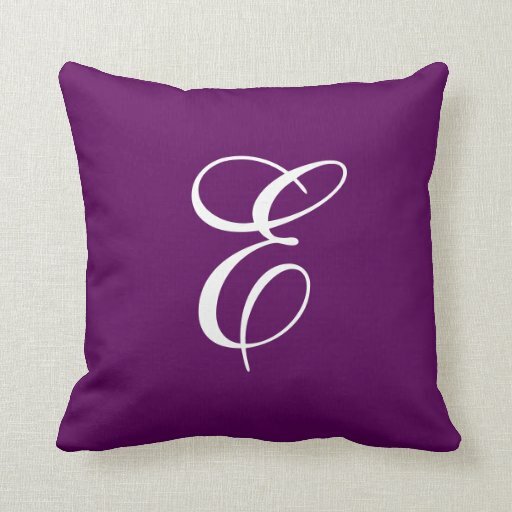 My Granddaughter would love this purple pillow. I'd like some with a last name monogram on them. Would make great gifts! I love monograms! So happy to see that they are becoming fashionable again! I remember back when a lot of different objects were monogrammed--haven't seen it in a while. It can make for an elegant presentation! This cushion would look great in my daughter's bedroom. Just need and "L" on it. Love monograms. This is cool. This pillow is really beautiful. I love the vibrant color and the fact that it is monogrammed.